All homes currently listed for sale in the zip code 78260 as of 04/26/2019 are shown below. You can change the search criteria at any time by pressing the 'Change Search' button below. "Handcrafted estate exuding elegance&luxurious detail.Privacy is exemplified w/private gate at residence.Unsurpassed craftsmanship&materials are harmoniously combined to create stunning lvng spaces.Chefs kitchen flowing seamlessly into family rm,game rm/full wet bar&sep media rm making this an entertainers delight.Master retreat w/spalike bath.Exceptional floorplan complete w/2guest bdrms down&2large guest bdrms up enjoying sep living rm.Paradise is found outdoors w/a beach entry pool in park lik"
"Warm & charming one story former model home situated on over an acre lot in exclusive Waterford Heights. Behind 2 gates for maximum security. This home is beautifully laid out with bedroom spaces nicely separated. 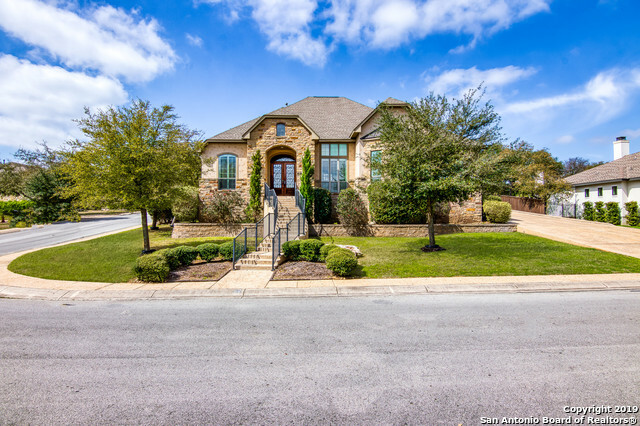 Gym/flex room plus beautiful study w/ wood flooring and details. Don't miss the awesome dry stack rock columns, fireplace and wall in living rm! 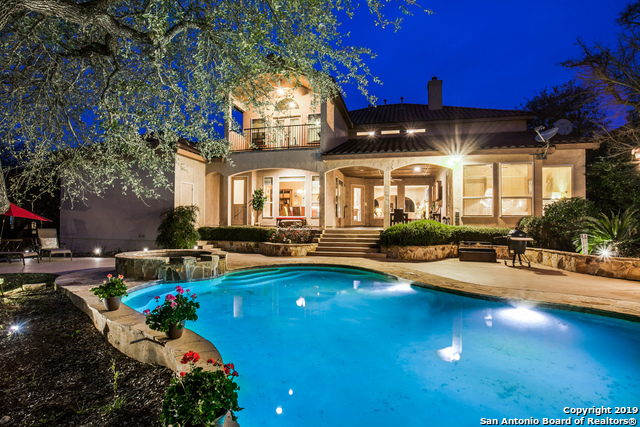 Outdoor kitchen and entertaining space around the sparkling pool with adjoining spa. Shutters throughout home." "This is the renovated modern mansion you've been wanting with the finest of materials, coveted amenities, & ultimate floor plan flexibility*Dramatic & beautiful main house w/5 BR 6,471 sq. ft. & detached 1-2 bedroom guest house 1,166 sq. ft w/full kitchen and bath*Wood-cased windows,hardwood & marble floors*Kitchen offers honed granite counters & full suite of Miele appliances*Study/billiards room*Granite columns frame the resort-worthy pool area*Control 4 home automation*Guard gated neighborhoo"
"This stately Waterford Hghts property sits atop 1.23 acr, welcoming you w/a stunning stone pillared entry. Well-appointed w/countless upgrades, the 5 bdrm, 5.5 bath estate boasts a grnd maple staircase, custom ironwork, soaring ceilings, a gourmet island kitchen & a 1st floor master suite w/outside access. The open floor plan presents over 5,000 sqft of living space, complimentd by oversizd rooms. Enjoy the coverd patio & glistening pool in the privacy of the secluded backyard, accented w/majest"
"Immaculate Spanish style home in prestigious Canyon Springs! 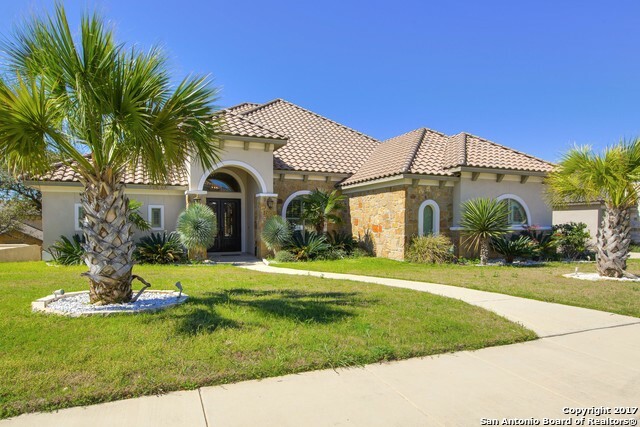 This beautiful casa features an open floor plan, high ceilings, 3 salas de estar, 2 eating areas, grande cocina w/gas cooking, plus a gameroom & spacious secondary rooms. Master bedroom down w/outside access & separate sitting area, master bath has separate garden tub/shower, dual vanity & a fantastic walk-in closet. Detached casita has 1 bedroom, full bath & small kitchen. 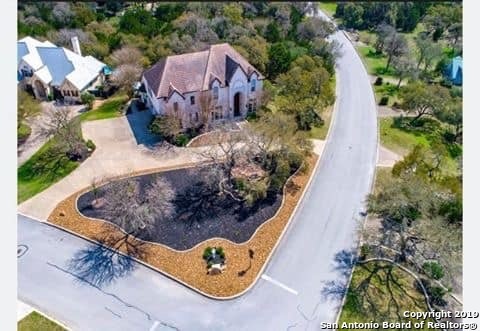 Enjoy the sparking piscina or soak in the hot tub & a great ya"
"Custom built estate in a large corner lot-circular driveway just steps from the neighborhood park and amenities. 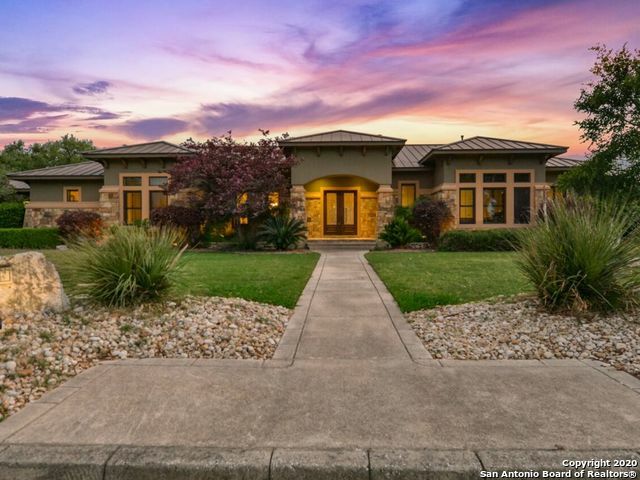 Luxury everywhere in this home, from the grand entrance the 12 foot doors, staircase, open floor concept, wine cellar, master retreat with sitting area and amazing master bath, large closet w/built ins. Gameroom, media room, study with double sided fireplace, family room w/fireplace, gorgeous kitchen w/custom cabinets. Butted glass overlooking infinity pool area w/bar, outdoor kitchen"
"Resort-style, Mediterranean estate on 0.81 beautifully landscaped acres in exclusive Summerglen has over $60k in recent renovations & an impressive list of amenities. 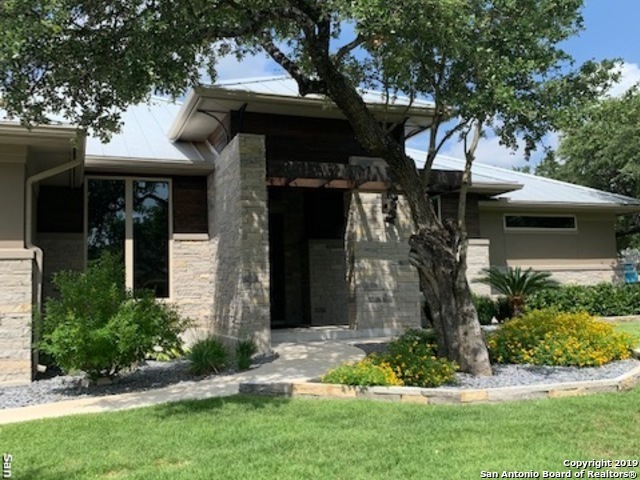 Incl stunning new travertine tile flooring; freshly updated chef's kitchen w/fine finishes; new granite & travertine lux master bath w/freestanding tub, glass walk-in shower & more. Pool, spa & cabana + half bath w/full outdoor kitchen; study; game rm w/bar & adj. home theater; sauna & exercise rms; 2nd media/flex rm, loft & balcon"
"Absolute stunner in Timberwood Park, on large flat .89 acre cul-de-sac lot! This luxurious 4/3.5 includes built-in bunks, game room, office, wine cellar, wood floors, shiplap & expansive storage to name a few.The top-of-the-line chef's kitchen is clad with premium finishes. One-of-a-kind laundry room with 2 stackable sets and extra storage. Master suite features modern accent walls, fireplace & custom closet. Enjoy spacious outdoor living with built-in kitchen, fireplace, generous seating and ea"
"Beautiful Spanish style Ranch located in the North Central area. A part of the highly rated NEISD. This completely renovated home sits on 4 acres with horse stalls, outdoor cabana & pool surrounded by beautiful landscaping & palm trees. The interior of the home features high ceilings in multiple living & dining areas, new stainless steel kitchen appliances, hardwood floors throughout & 2 master bedrooms down. 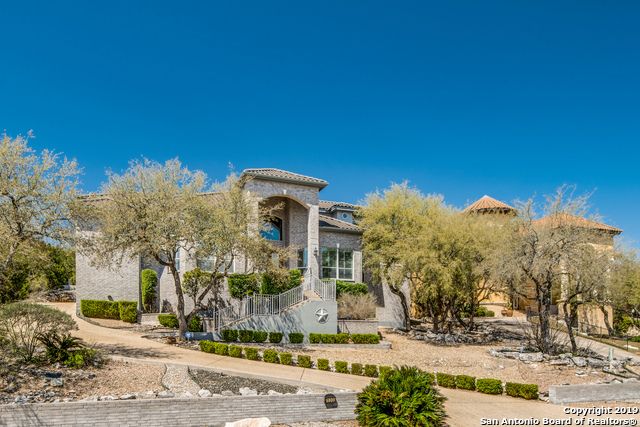 Spacious treed lot provides corral & stable for horses and a 200 foot water well with n"
"HGTV Pool Hunters stunning home - Stunning, luxurious and very spacious 2 story McNair home with open floor plan situated in the prestigious golf course community of Canyon Springs. 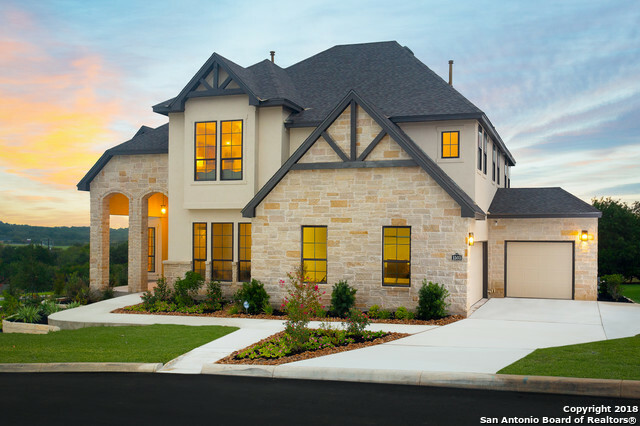 24-hour guarded community with security patrol, NO city taxes and top notch NEISD schools. Upgrades and built ins throughout. Chefs kitchen with double ovens. 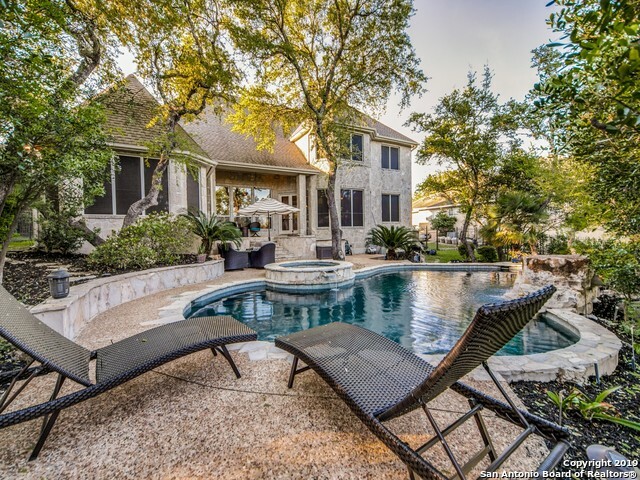 6 Bed/5 bath with a private entertainers dream backyard featuring covered patio, large pool, hot tub, outdoor kitchen & bar. This is your new vacation spot. Mu"
"Owner's paradise nestled in Summerglen including sun bathed rooms, soaring high ceilings, grand open floor plan, custom dual first floor master retreats with en suite bathroom that boasts a jacuzzi tubs, walk in closets, abundant storage through out the home, solid wood blinds. 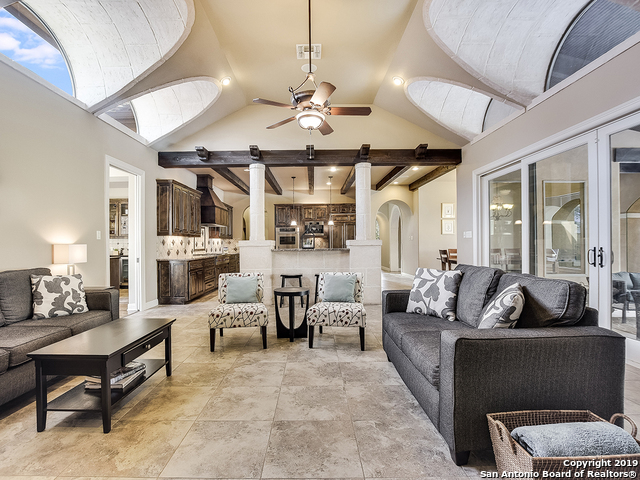 Bonus room of 300 sqft not included in Bexar County Appraisal District's square footage. Gated/guard community." "Beautiful model home for sale. This home boast 5 bedroom (option study), media room, game room, cathedral ceilings and many more upgrades." "Barely lived in Vacation home can be your forever home! This Designer home has everything you are looking for: a pool, spa, Media room with state of the art sound sys, game rm, Lge Master, great open Family area, Serene outdoor living room with top of the line grill, gas & charcoal, vent hood, granite, stone, wood look tile floor, sink, and can be completely enclosed during cold weather. Too many upgrades to mention! Add'l square footage in Media room (TAKES UP 2 SPACES IN A 3 CAR GARAGE)." 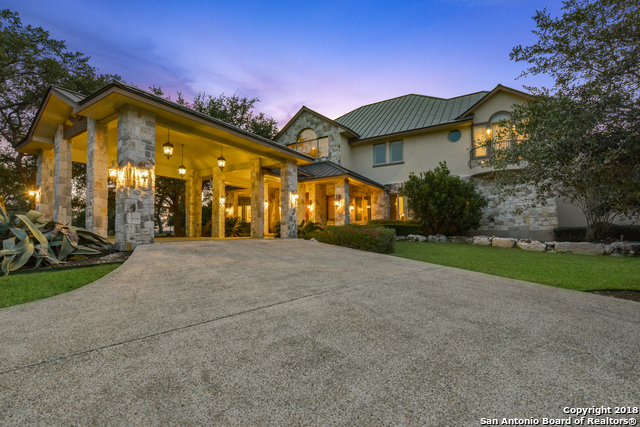 "Hill Country style luxury home located in the exclusive guarded subdivision of Summerglen. 4684 square feet of luxurious living space, including 5 full bedrooms, 4.5 Bathrooms with an office or nursery off the master bedroom. This home truly has it all, beautiful wood and ceramic tile flooring throughout the downstairs living areas. Office with cozy fireplace and beamed ceilings. Picture windows throughout back of house overlooking the more than half acre back yard secluded lot, including custom"
"This home could be your staycation! Beautiful and recently renovated 5 bed 4 bath home in the gated & guarded Summerglen Community. 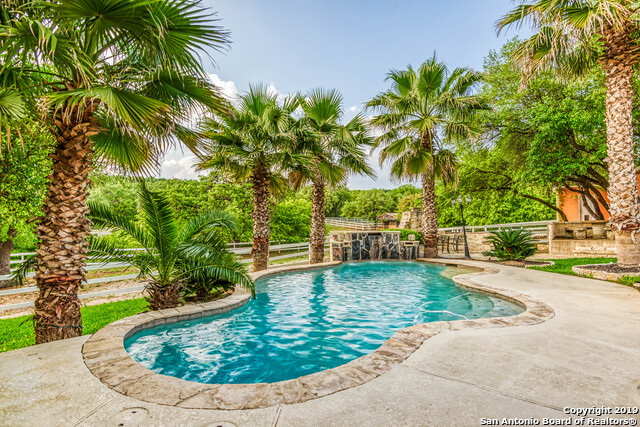 Entertainer's paradise w/ large solar heated pool/hot tub and expansive covered deck nearby. New travertine floors on 1st fl and bamboo floors upstairs. No carpet! All new stainless steel appliances, a wet bar w/ new wine fridge. Master down with 2nd bedroom down. HUGE game room w/ large picture windows. 6 car garage! Or maybe use as boat storage! A must see!" "Impressive Mediterranean estate,situated on a corner lot ft seamless flowing layout perfect for a lifestyle of luxury&comfort.Tremendous quality is exemplified to inc.decor paint,new handscraped hardwood floors,custom ceiling details,gourmet kitchen w/stainless steel apps,gas cooking&large granite island.Master retreat w/luxurious bath&guest bedroom down.3 spacious bedrooms up with game room&sep media room w/cov'd balcony&stunning views.Exceptional outdoor living at its best w/large cov'd patio&"
"AMAZING 4866sqft, 6Br, 4Ba + 2 Hb, McNair masterpiece on THE LARGEST LOT IN THE ESTATES AT CANYON SPRINGS(1.75ac) adjacent to GREENBELT & GOLF COURSE. INCREDIBLE BLUFF VIEWS w/TONS of mature oaks. 2 Bedrooms down w/4 upstairs. This home is LOADED to the 10's w/custom features & upgrades. WAY to many to mention! 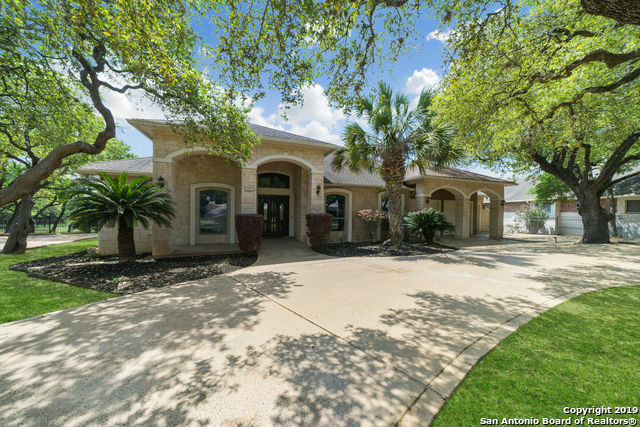 Large covered patio w/exterior half Bath, Gameroom/Media Rm w/wet bar. This property is STUNNING! 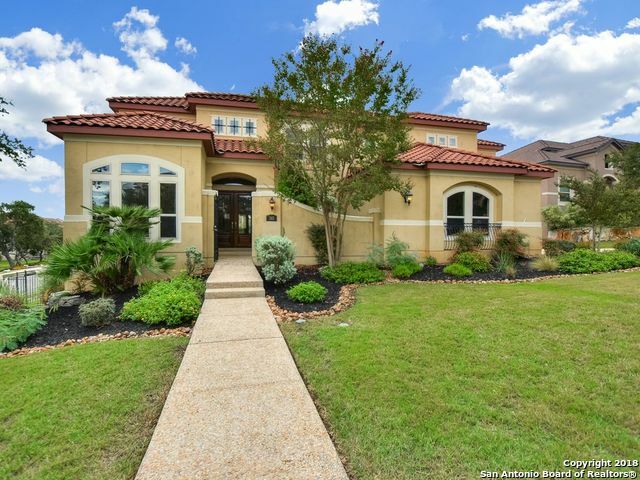 Highly acclaimed NEISD Schools, No City tax, Gated community w/24 hour security & lots of"
"FALL IN LOVE with this gorgeous home in the prestigious guarded community of Estates @ Canyon Springs. Impeccably renovated to encompass timeless luxury living. Gourmet kitchen boasts high-end appliances, exquisite granite, & custom cabinetry. Luxe master suite w his & hers closets & breathtaking spa-like master bath. Hardwood flooring, plantation shutters, Mosquito Nix system, 2 new TRANE AC units, & so much more. Private resort-style backyard retreat w Keith Zars pool & spa, pergola & ample ro"
"Eye Popping CUSTOM BUILT Home by MAYS CUSTOM HOMES~FANTASTIC Floor Plan w/EVERYTHING on ONE LEVEL Except GUEST STE/GAME RM w/Full Bath~Make Sure You Take in all the QUALITY FEATURES & Items INSIDE & OUT STUDY w/Access to Full Bath & Closet~OPEN KITCHEN to Family/Breakfast w/Huge ISLAND~Enjoy the Peaceful Solitude of the ENTERTAINMENT ROOM Featuring STAMPED CONCRETE Flooring~Then Step Out onto the COVERED PATIO w/Grill ~Storage/Shop~Impeccably Kept~A Real STUNNER & MUST SEE~See ASSOC DOCS For MUC"
"Grand Estate home on over a half acre home site. 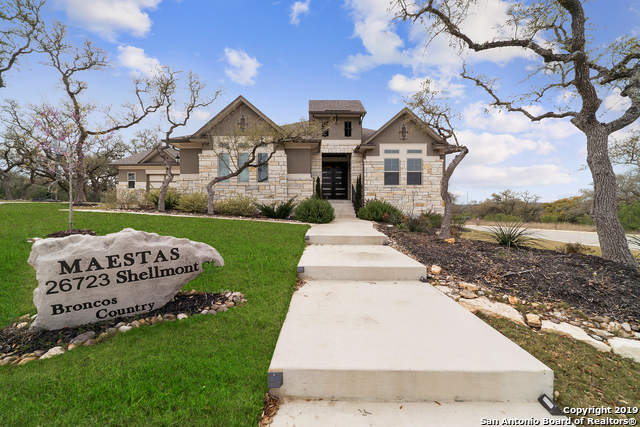 Basque in the views of the Hill Country. Entertain in this gorgeous open home complete with cathedral ceilings, wet bar, gourmet kitchen, 2 dining areas, game room, media room and covered porch with fireplace. Come see this grandeur today." "Welcome home!! If you are looking for a home with bells and whistles then you have found the right home. Tucked away with beautiful landscaping in a nice and quiet neighborhood. 4 bedroom/4.5 bath and 3 1/2 car garage..plenty of space for your family. Beautiful infinity pool and hot tub for entertaining. This beauty will not last long so come out and see what all the fuss is about." "Modern Masterpiece with Million Dollar Views! This Custom Home Complete in 2019 features cutting edge design with timeless finishes. World class kitchen featuring waterfall island, kitchenaid appliances, designer backsplash, pantry with custom cabinetry, & wine room. The first level features double sided fireplace, study, guest bedroom with full bath. Master Suite opens up to its own balcony to take advantage of breathtaking views. 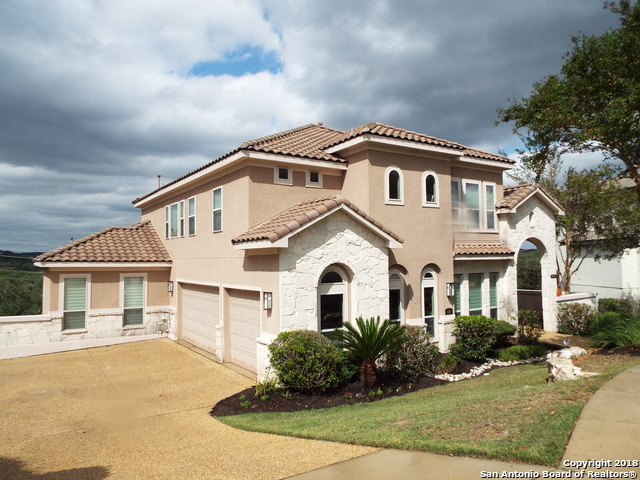 Two secondary bedrooms upstairs with second living space/ game r"
"Custom built home located in scenic Hill Country on the outer banks of San Antonio. 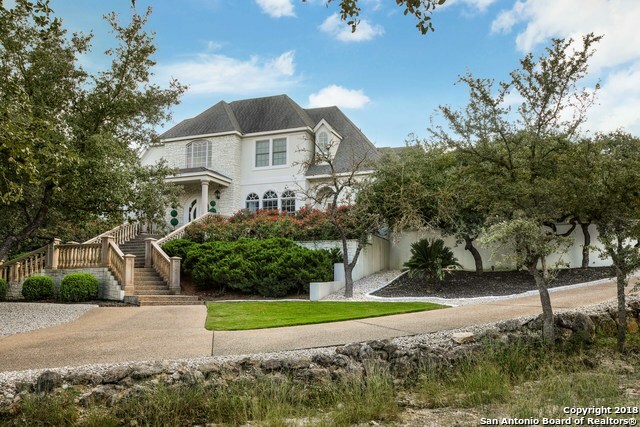 This home has a resort feel with grand iron fencing leading to a sunny foyer. 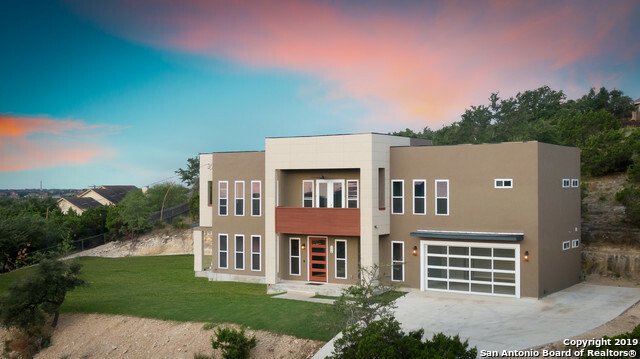 This custom designed home includes details of Stone Accents, Travertine Tile, Knotty Alder Custom Cabinets, and wood flooring in the bedrooms. With a nice lot size and views, this home can provide families, big or small, with a great space to entertain. Views are spectacular as this home sit on top of the HILL overlooking Camp B!" 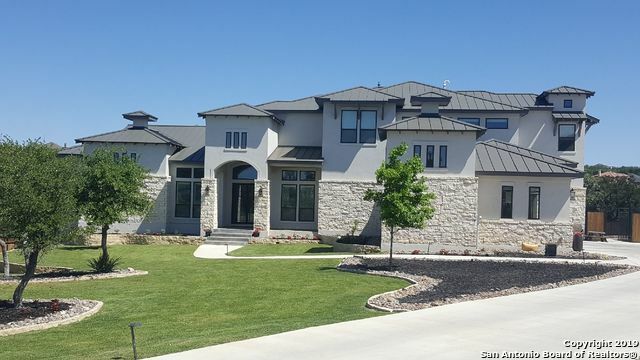 "Beautiful Estate Home, Master Down, Gourmet Kitchen w/custom cabinetry, butlers pantry/dbl ovens w/warming drawer, 5 burner gas stove, vent hood, pot filler. 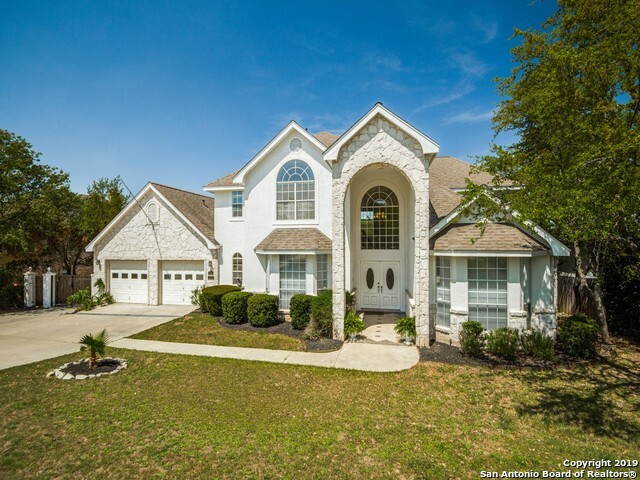 Luxury Master Suite w/Travertine tile shower, Lrg Closet, Crown Molding, Wine Frig (s), Granite Tops, Large Covered patio w/FP and gas grill/outside half bath. Wrot Iron fencing, sprinklers, side entry 3 car garage. Tons of storage everywhere! 3 Bedrooms UP, 2 Down, Easy access into house from garage. Extra wide driveway for additional pa"